I have not been posting for a while. I did not have time to craft. However, I am back with few new projects done. 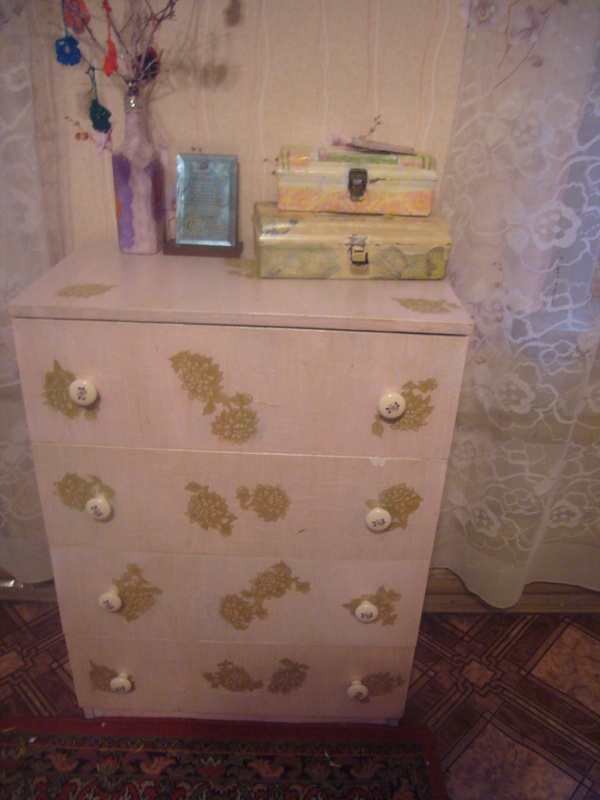 The first one is cabinet decoupage. 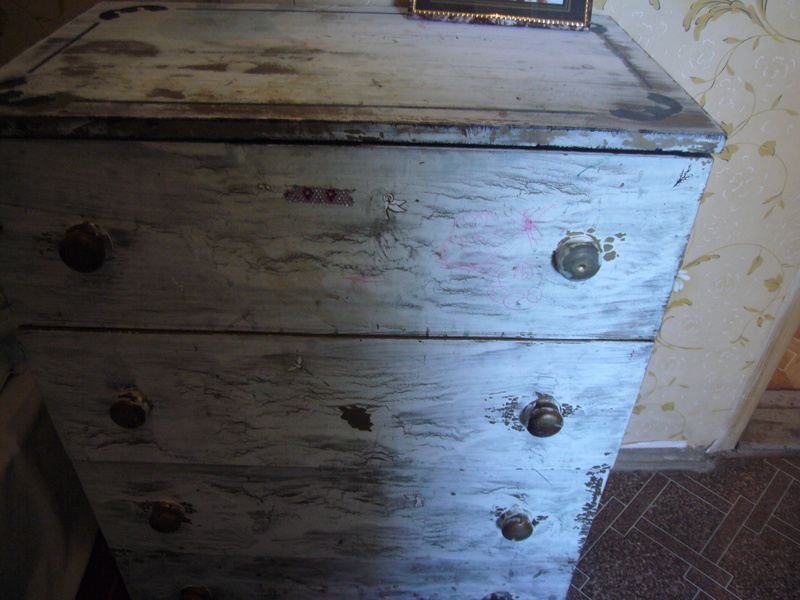 Here is an old and ugly cabinet. Initially it was brown, but then repainted in white. Since I have to little kids, soon it turned ugly and dirty white. So, here is what I’ve done to it. I have repainted it putting several layers of white paint on. I decided to make a shabby chick out of it. So, after the last white coat of paint dried up, I have rubbed a wax candle on it. 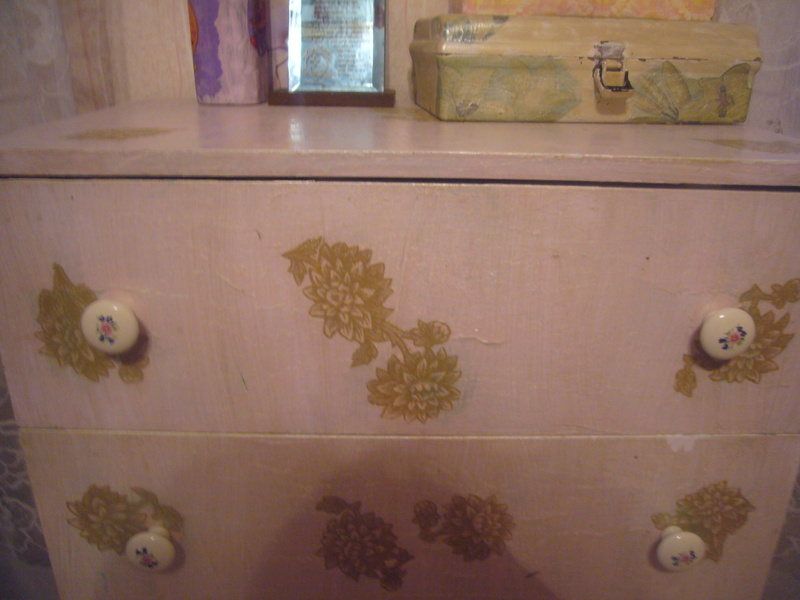 I laid the final coat of paint, decoupaged the cabinet and covered it with several layers of transparent polish. This entry was posted in Crafting Tutorials, Decoupage ideas, Uncategorized and tagged crafts, creativity, decoupage, decoupage how to, decoupage step by step, handmade, home decor, home design, how to decoupage, upcycling. Bookmark the permalink.